A classic case of "They just don't make them like they used too". 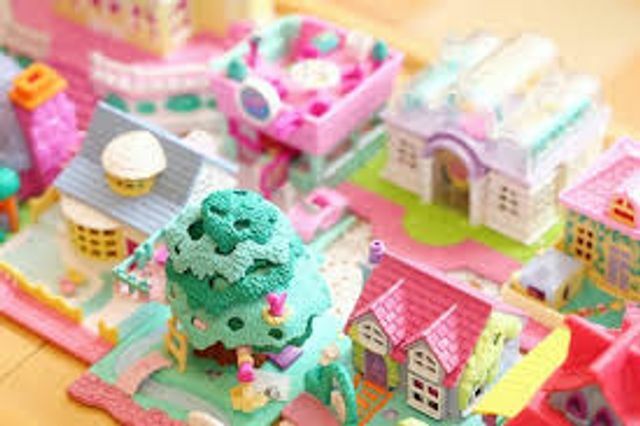 I had.. hundreds of Polly Pockets. And they were great. You could take them anywhere, even wear them! And they were soo tiny! So inevitably they were super cute. And what happened? Some kinda crazy "but 10-year-olds-might-swallow-them" madness! So now we are left with HUGE Polly Pockets. Try and fit one of those in your trouser pocket! Oh wait. YOU CANT. The beauty of the original Polly Pockets was they were so small even if you did swallow one you wouldn't feel it, they were too tiny... right? !